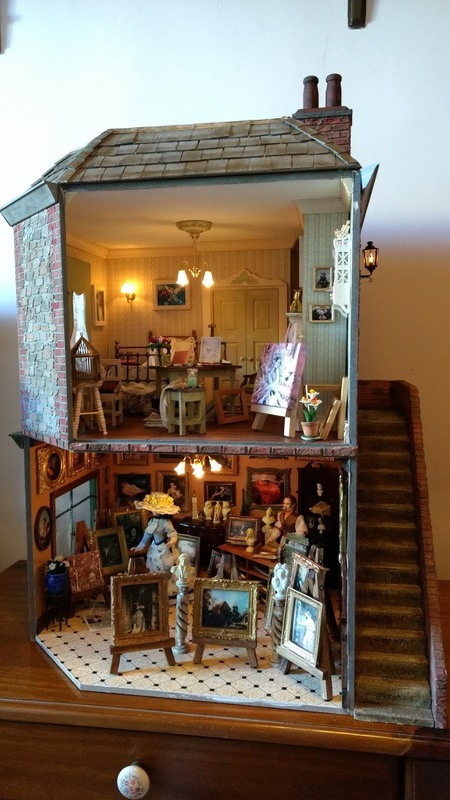 My Miniature World: Another Great Year for My Miniature World. Can't wait for 2018! Another Great Year for My Miniature World. Can't wait for 2018! Are you all prepared for 2018? I am so looking forward to the new year. There is so much to do and so much to achieve. 2017 comes to an end and I can't believe that it has been an amazing year here once again at My Miniature World. Another year of achievements and success. It is all thank to you; thanks to your support and encouragement. My Miniature World Blog has reached 235 followers and 180 followers on Google plus. The blog has also reached 268,724 views and has 2,204 comments. I don't have words to thank you enough for everything. 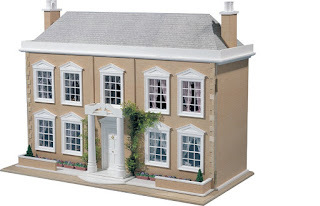 My Miniature World on Facebook has reached over 16,600 likes and My Miniature World Group holds 1,700 members. Thank you for being there. My Miniature World Shop at Etsy has had the best year ever since it was opened. 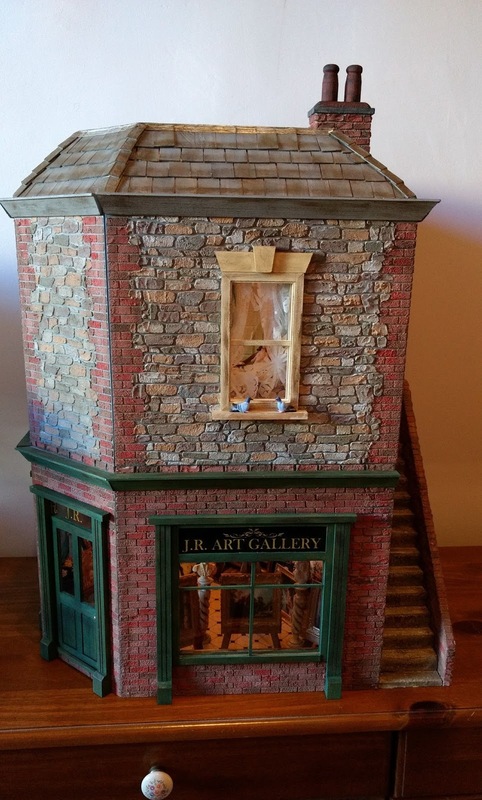 The shop now offers over 470 miniatures including furniture and 86 miniature books. This year I also introduced 1:24 scale accessories. 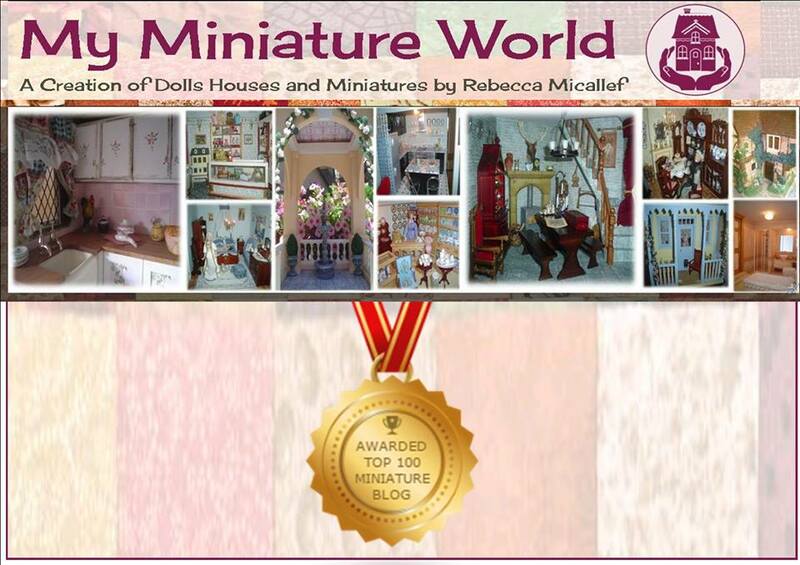 I'm pleased to say that now my miniatures have reached 33 countries all over the globe. Like every year I do a run through of what I achieved and what to expect for the new year. I have to say it has been exciting. In the beginning of the year I started working on the Wood Cutter's Cottage. 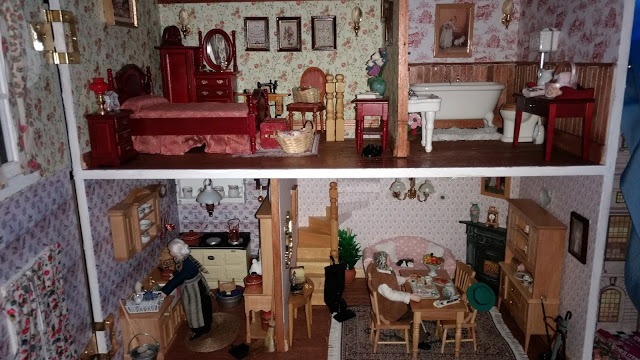 Another vintage DHE dolls house that I enjoyed building. 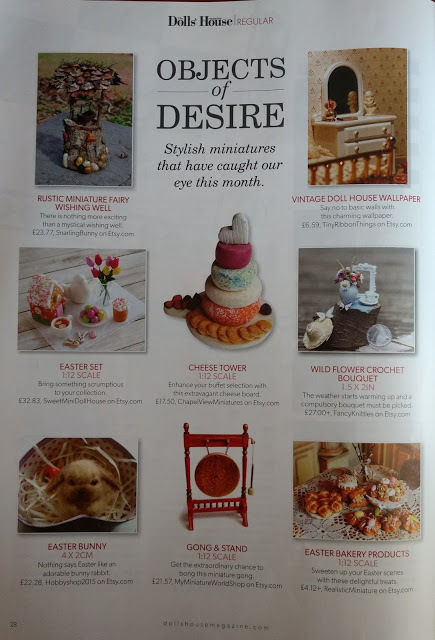 Miss Leah's Boutique once again made it on print on the Dollhouse World Magazine. One of my all time favorite projects. 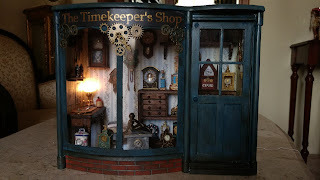 A project that was the beginning of my turning point in the miniature world. 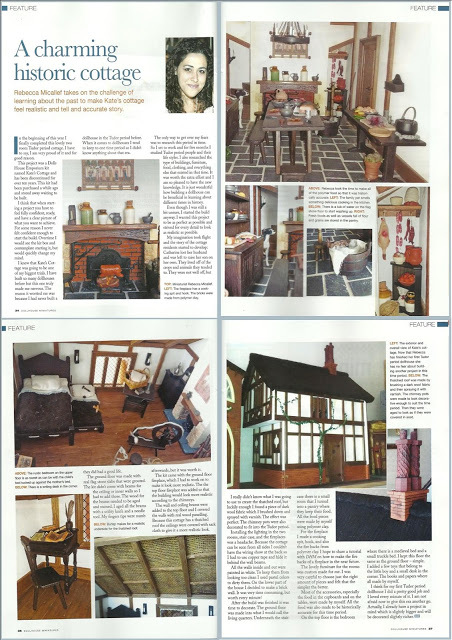 One of our hand painted miniatures the hall gong was featured in The Dolls' House Magazine. It is one of our most favorite miniatures among the clients. 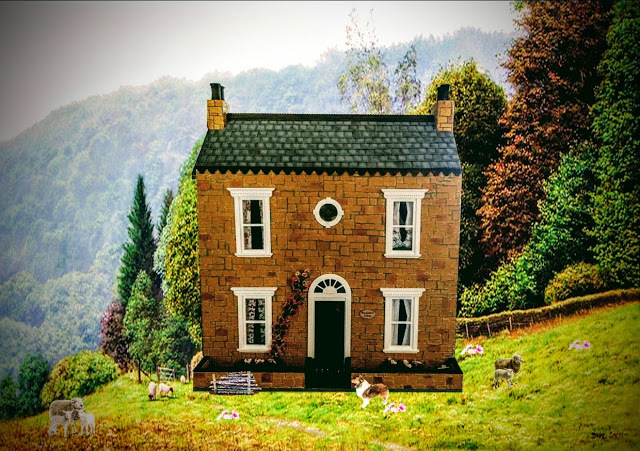 In May I got to finish the Woodcutter's Cottage. It was a cute project that I enjoyed. Apart from that, May holds a special place in my heart. 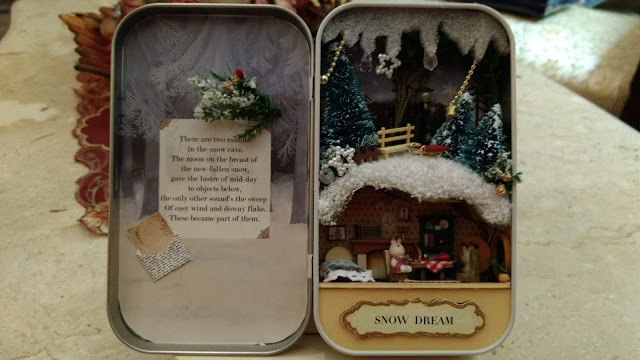 In June I had started and finished a small project, a room box. I wanted to do this for quite some time. 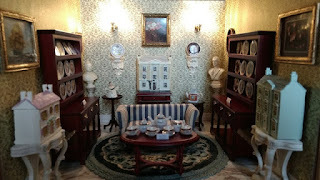 It is called the DHE Museum. 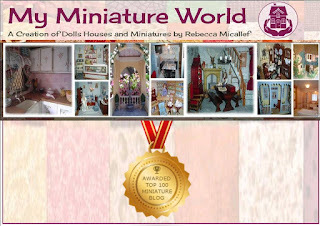 Also in June My Miniature World Blog got awarded Top 100 Miniature Blog on the world wide web. This is all thanks to you friends. 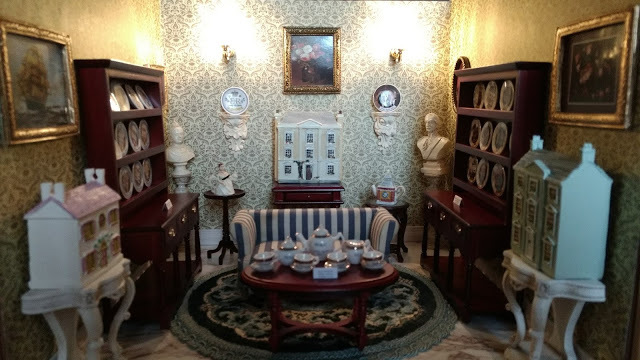 In July I had one of the best miniature experiences. 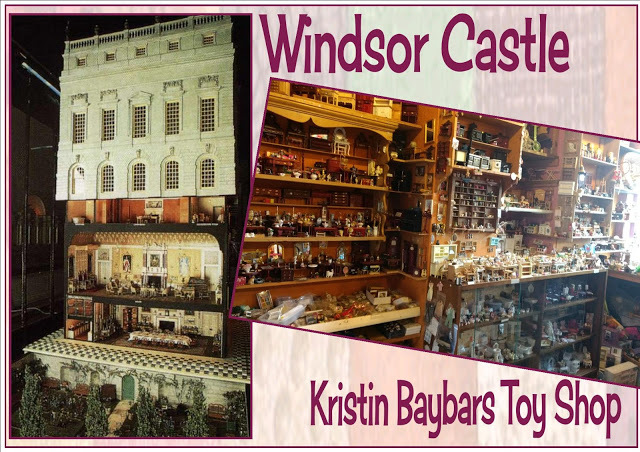 I had the chance to visit The Queen Mary's Dolls House in Windsor Castle and I visited Kristin Baybars Toy Shop in London. In August I started the most amazing project ever. The love of all project by far; the J.R. Art Gallery. The introduction of new miniatures in 1:24 scale at My Miniature World Shop at etsy. I couldn't believe how much clients sought the miniatures in this scale. In October my darling tiny Posy arrived. 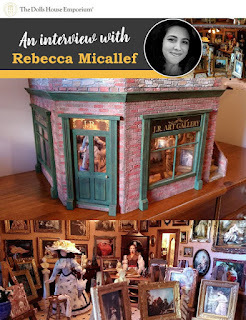 She makes me smile and enjoys being with me especially when it comes to miniatures. Posy wanted a Christmas Stocking. 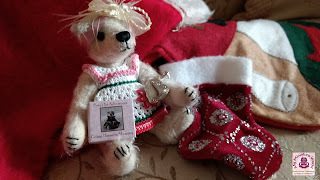 On Christmas Day she found a silver locket and her first new miniature book story. Finally in November I completed my J.R. Art Gallery. I couldn't believe that it looked the way it is. 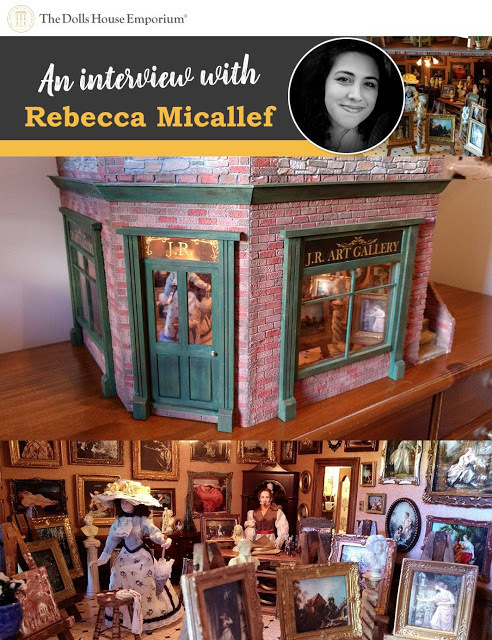 After completing the gallery the Dolls House Emporium invited me for an exclusive interview which was great. In December I started and finished a small display box which I have turned into a clock shop called The Timekeeper's Shop. 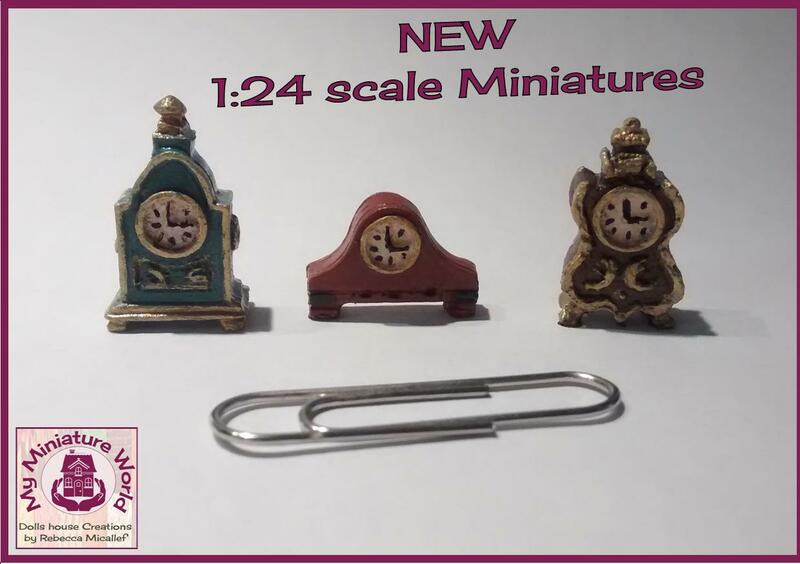 I have made most of the miniature clocks. Still can't believe that it turned out so beautiful. At the end I finished off this year with a miniature tin box Winter Scene with bunnies. So that was the run through the whole year for 2017. I'm really excited for 2018. There is so much to do and so much to look forward to. This year is going to be a big year for me and my miniature world. 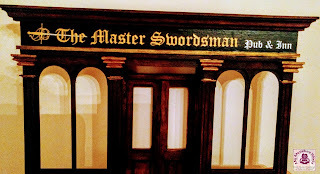 The Master Swordsman Pub & Inn. It's another discontinued DHE property which I am eager to start. 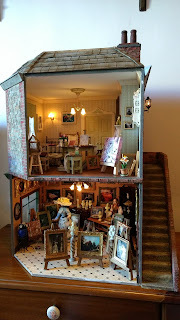 Another big project that I am working on is the opening of my dolls house exhibit which hopefully will be soon opening for the public. 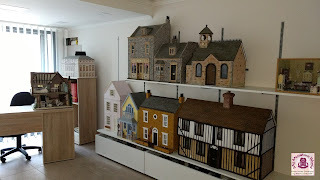 Started moving a few of my dolls houses into their new building. A big thank you goes to my husband Gilbert who has really worked hard for the past year to make this a reality. There is a big chance that I will also be working on this project called the Pembroke Grange another lovely discontinued DHE building. And that is a wrap up. This is all for today. Hope that 2018 will be kind to us all so we can enjoy it. From here I want to wish you and your loved ones a Very Happy New Year 2018! 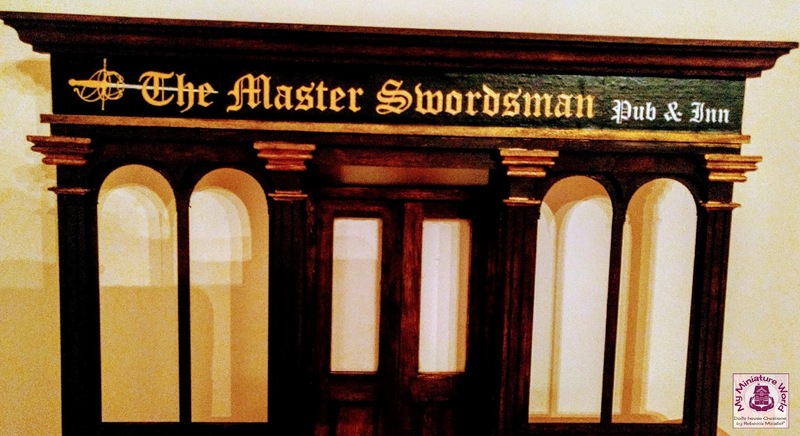 Keep tuned for the first update of the new Project "The Master Swordsman Pub & Inn." A great satisfaction was this 2017, I bet it will be also 2018 and as the saying goes: "Behind every great woman there is always a great man". Wishing you success in all your goals and dreams in 2018! A great year full of fantastic achievements, congratulations!! 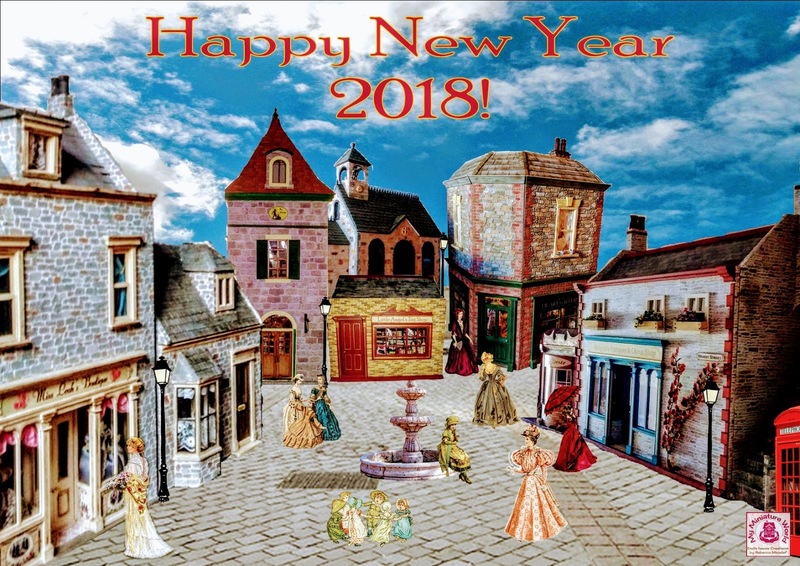 Wishing you a wonderful and creative 2018!! !